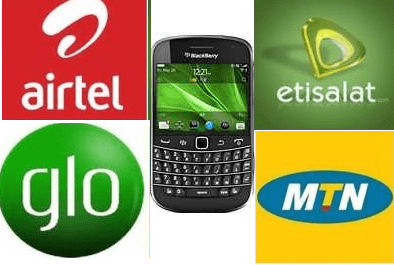 There have been complaints by customers of network providers in Nigeria over failing and weak internet services provided to them after having bought huge data bundle. Some would say “MTN is the best network with the best internet data plan”, others would say “GLO is the baddest”. But there is no specially best network as far as internet services is concerned in Nigeria. Naturally, there is no best network for your internet services. The solution to your internet experience depends majorly on your location. You must analyze the internet signal of every network ( MTN, GLO, Airtel, Etisalat) in your location before deciding which to choose. How do I analyze which network to choose? There is no technical way to do this. You should not have all the networks in other to do this analysis. Secondly, determining your interest base network. Your interest base network simply means your preferred network (SIM). Some people just love using a particular network than the other. Check if your preferred network has a strong strength. You could consider this through the number of network bars it fetches. Is it up to 5 bars? Is it always fluctuating?. Does it support EDGE, 3G or 4G? If your preferred network do not meet up with this, reconsider another. You can as well ask your friends how they feel with their internet network providers. Then, how fast is it when it is connected to the internet? This should be a major factor in step 3. You wouldn’t subscribe to an internet data plan in any network that would not open a simple Google search page. How much data they offer. This has been the major reason why most people complain about fluctuating or failing internet services. Sometimes, the internet network providers (ISP – MTN, AIrtel, GLO, Etisalat) offer cheap internet data plans which now lures people to delve into them without taking the basic things into considerations. One of my closest friends has been offline because of poor internet service in his new location. May be he was lured into subscribing to any of the cheap internet plans. Do not subscribe to any internet plan just because it is cheap and offers huge data bundles but focus on how favorable when in use. Just like i said, no network is best when it comes to internet services. Choose the internet plan that can smoothen your internet browsing experience. If you are lucky to have cheap, affordable data plans within your preferred network, then go for it.